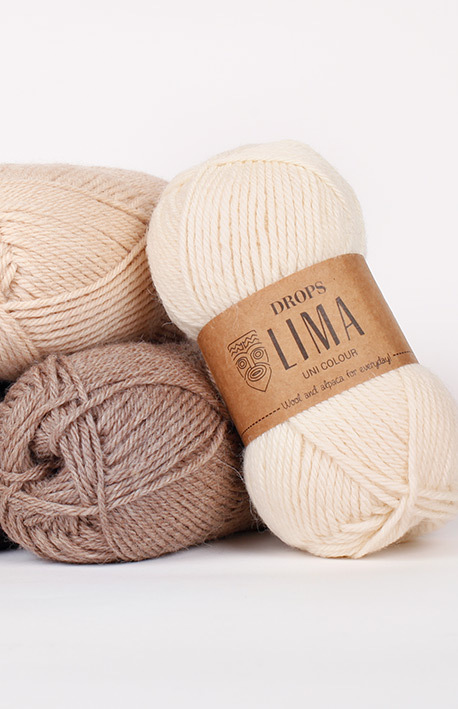 DROPS Lima is a 4 strands sport yarn, the continuation of our bestseller DROPS Nepal. Made from a combination of 65% Peruvian Highland wool and 35% superfine alpaca, its fibres are untreated, which means that they are only washed and not exposed to any chemical treatment prior to the dyeing. This highlights the fibres' natural properties, while it provides also a better shape and texture quality.